October will be here in a week and before you know it, so will the holidays. I always dread this time of year, not just because of the cold but also because I struggle with shopping for loved ones when the holidays abruptly arrive. It can be hard to find the perfect gift or even a gift that you hope they will actually like. Over the years I’ve discovered a gift that always seems to make everyone happy, man or woman, teenager or grandparent. A watch is a fabulous universal gift that nearly everyone on your holiday shopping list would be pleased with. Shopping for a watch is also easy to find in every price range, making it a complete splurge-worthy gift, or something that is luckily, more affordable for those of us on a tighter budget. 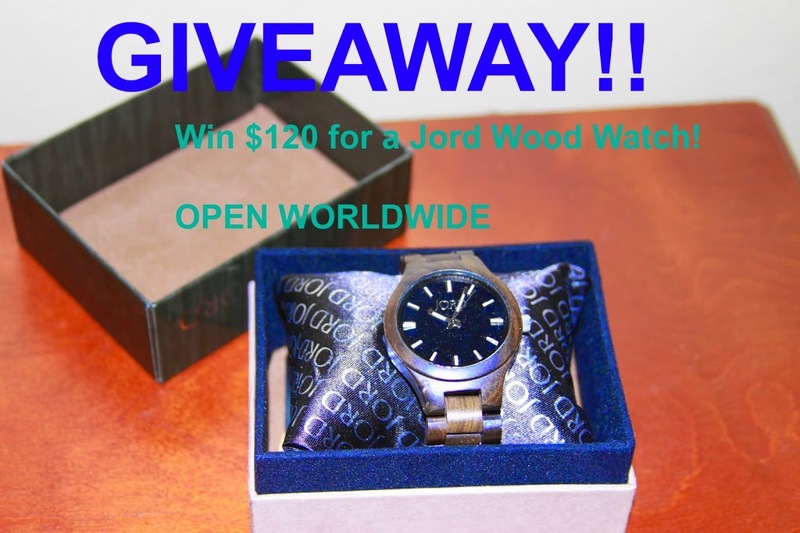 ENTER TO WIN $120 for a Jord Wood Watch at the bottom of this post! 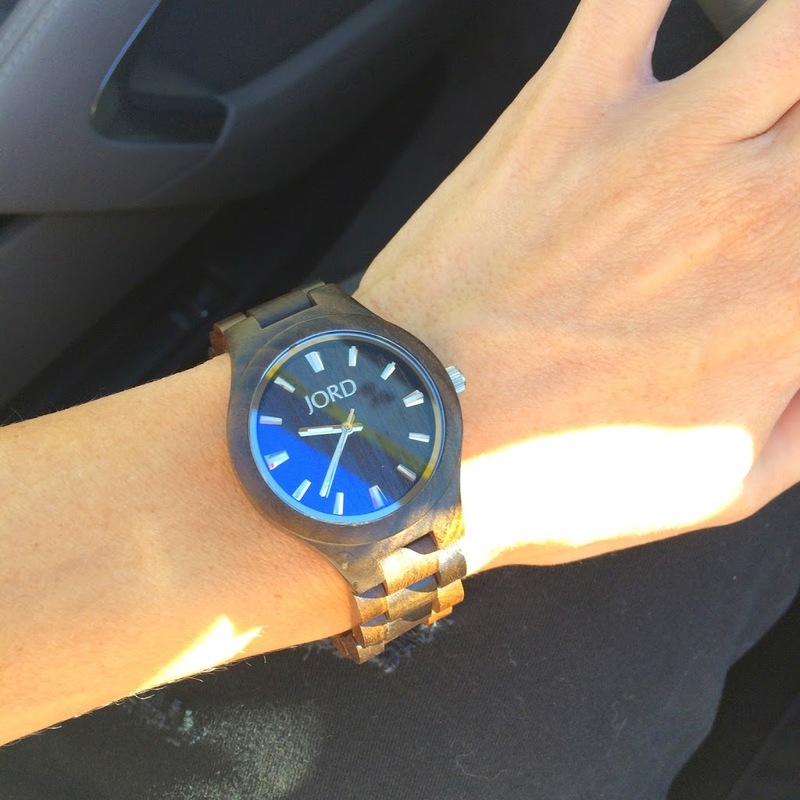 I recently found Jord Wood Watches, and I completely fell in love. These fashion watches are completely unique, thanks to their wood detail face and band. Being a vegetarian who is very conscious of leather goods, I love that these watches bring a classy look to any outfit while also being compassionate to animals. The cool wood is made from various woods and grains, as well as other natural sustainable materials from all over the world. In fact, the name Jord, in swedish, means earth, soil, sand. These watches would make the perfect watch for your outdoorsy, nature-loving friend, but because these watches are so beautifully crafted, and the band and face look completely luxurious, it would also make the perfect gift for your very stylish, luxury-loving friends or family members too! 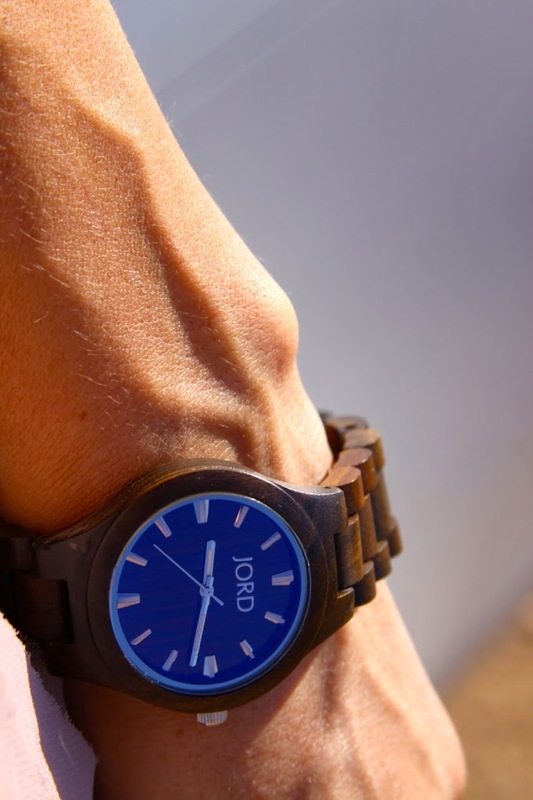 Jord’s Wood Watches are truly one-of-a-kind pieces and yet made with the upmost quality. You can find both women’s and men’s watches from Jord, in a variety of different styles. When it comes to watches, I love a loose fitting, big faced watch and wide band, so I always go with a men’s watch. I picked out the lovely Fieldcrest Men’s watch ($120) It is a lovely dark brown wood watch with a black round face that actually looks blue in the sunlight. When I got my Jord wood watch, I immediately started wearing it everywhere. It looks great alone or stacked with a bunch of faux leather bracelets. Here I’m wearing it alone for a more casual day time look. You can see how this lovely wood watch looks great for a more casual look, but also looks the part for a dressed up evening-out look too. I love the versatility of this watch and how perfectly timeless it really is. 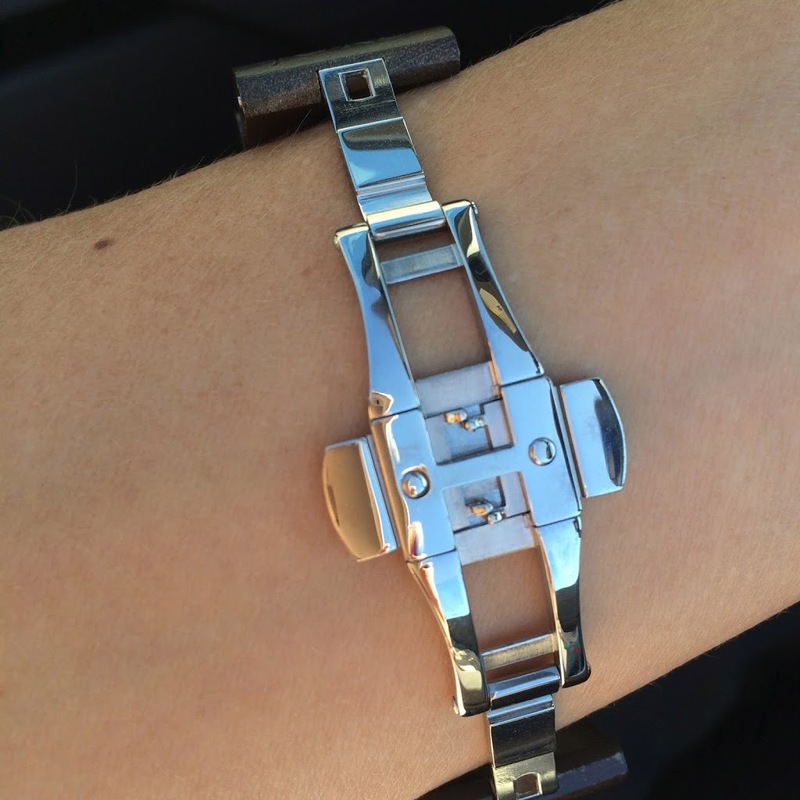 As you can see here, the back of this watch is also a unique piece, where you clip in one side of the watch and then the other side. It’s super easy to take on and off but completely stays put when on, so you never have to worry about it falling off. You can also see how when the sunlight hits it, the face actually looks blue instead of black. I’m completely obsessed with this beautiful watch and haven’t taken it off since I got it. It truly goes with everything and is super lightweight and comfortable to wear too. 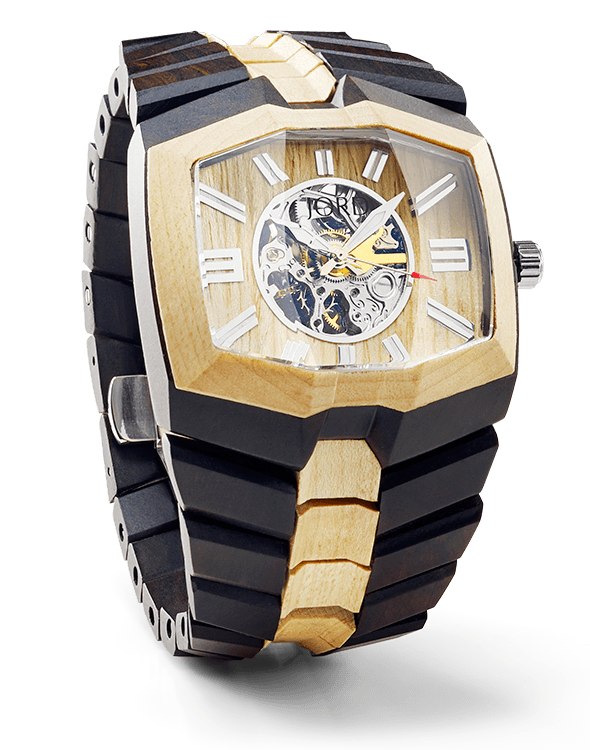 If you would like to learn more about the Jord Wood Watch collection, and start your holiday shopping early with the gift that everyone will love, then be sure to check them out at WoodWatches.com. Also, the lovely people of Jord Wood Watches are letting me giveaway a $120 Gift Card to purchase one of their lovely wood watches! (My Fieldcrest watch here is $120). Christmas is coming early this year, my lovelies! 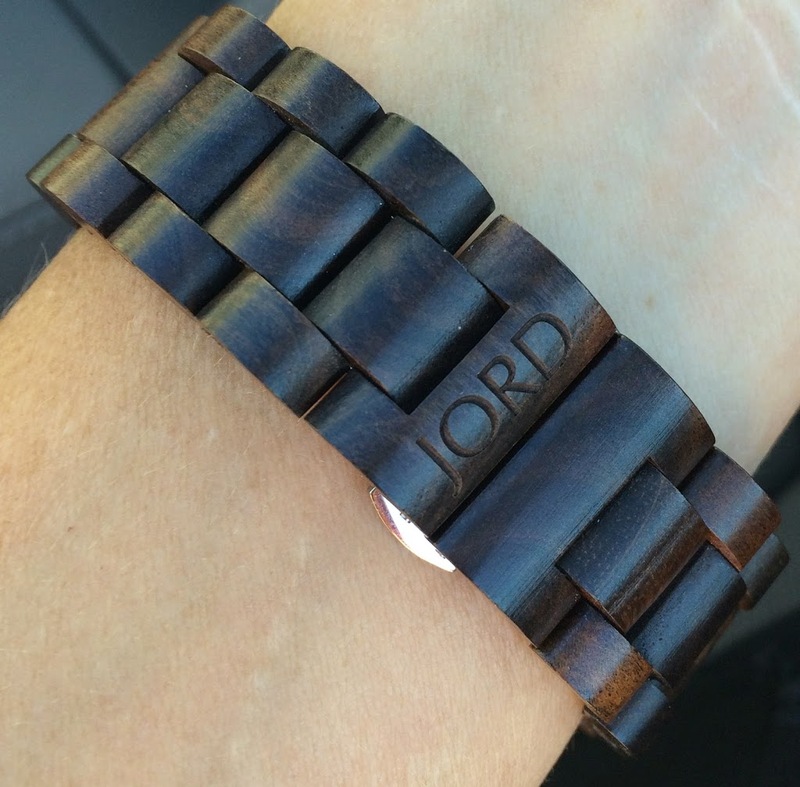 ENTER TO WIN a $120 Jord Wood Watch in the rafflectoper form below! *I was given this watch for the purpose of review. However, all thoughts and opinions expressed in this post are solely my own. I only share reviews with my readers, I feel will be beneficial or informative in some way. i like the one that you wear at the picture!!! I love FIELDCREST SERIES in Black! I really like cherry from Ely series! I like the “Ely” Series Watch in the Maple color! The Sully is one of my faves! the one in the picture! love the sully in cherry and maple these watches are so awesome..
i want the sully in cherry and maple. I love series chocolate . All are wonderful! I like all of their watches. They are so neat. I think I’d choose the Ely or the Delmar but when I see the Fieldcrest on you I like it too. I like 746 SERIES Black. I like ELY SERIES Cherry. My favorite watch is the Ely; however, I would be grateful for any of the watches. Thank you. I love the Ely watch in cherry, my husband has a Jord watch and I love it.. I love CORA SERIES Zebrawood & Turquoise. Thanks. Lubka K.
Fieldcrest in Maple- simply stylish! I like Cora- Maple and Silver. I really love cherry in ely series!